We awoke to a light rain this morning and the clouds looked as though they were set for the day. 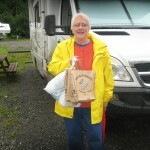 We had a good breakfast and piddled this morning getting things stowed away. Then we read for a while, waiting for the weather to clear. After lunch it seemed to be clearing, so we put on our rain gear and headed out to town. We visited the market which was nice but a lot of the vendors had not opened their tents today due to the bad weather. 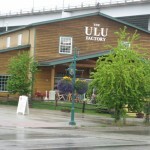 On our way back to the RV, we stopped again at the ULU factory to look around. I’m sure the majority of the ULU’s are made at a plant somewhere else. There is a small shop in the store that you can see the artisans making the boards and handles. 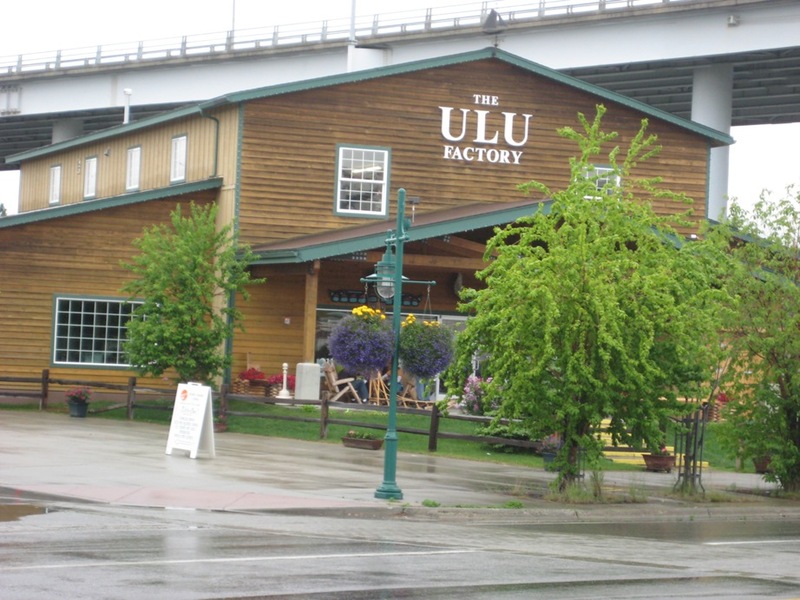 The story is that they generally made about 10,000 ULUs a year until a few years ago when Rachel Ray came to town and filmed a story on Anchorage. She did a piece on the ULU, using it in a demonstration, and since then their production has gone up from 10,000 to 50,000 ULUs manufactured each year. Anchorage thanks you, Rachel. 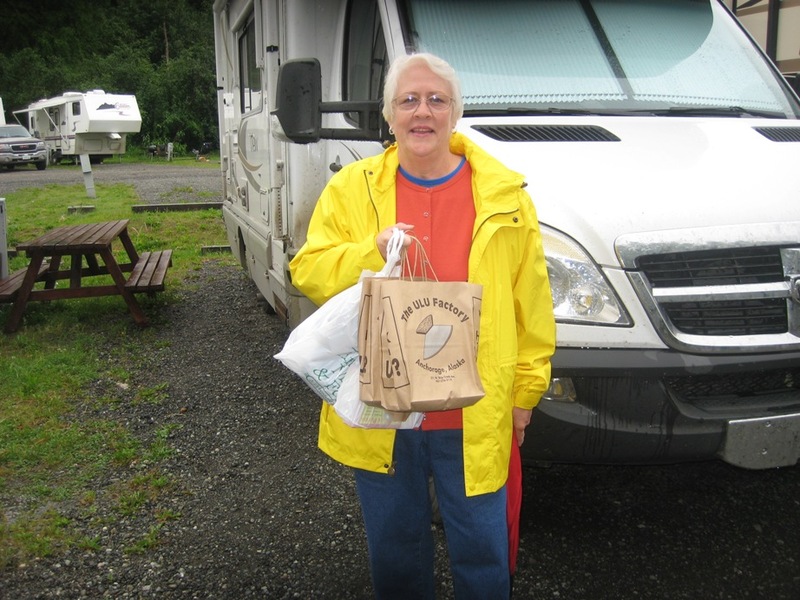 We are excited about starting our journey tomorrow down to the Kenai Peninsula. We will probably be moving around all week next week from one little village to the other. We will visit the campground where my parents were hosts 30 years ago. We sure hope the weather clears up tomorrow, but we’ve been very lucky so far. Today is really the first day we can remember on this trip that we’ve had rain all day long. You guys are now retracing our exact steps! We just left Kenai area Thursday morning. Hope the weather clears up!